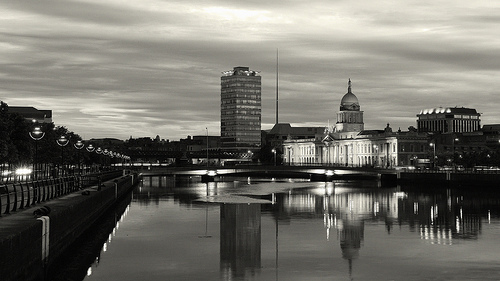 So we’re off to Dublin to start a new Christian community that has discipleship and mission at its centre with the hope of making a difference in one of the greatest cities in Europe and I thought I would just give a little summary of how this all came about. For a number of years Leanne and I have wanted to head off and start something from scratch where we could dream about the kind of Christian community we would love to see. As you read the book of Acts in the New Testament the church seems to be this vibrant, diverse-yet-united, outward looking, joyful people that in spite of severe suffering go and tell others the good news about Jesus through their lives and their words. And though only a small community they were able to be a blessing and make a difference not just in individual lives but also to the cities and cultures of their day. And that is our hearts’ desire. During the summer of 2011 God started to stir us that maybe it was time to move on from Leeds where Steve had been a full time Pastor at Mosaic Church. We have had a great time at Mosaic Church; God has taught us many things, formed our characters and instilled a greater passion for his church and for forming Christian communities that are both biblically rooted but relevant to the culture. We both sensed the stirring of the Holy Spirit to move on and as we began to explore ‘where would you send us Lord?’, Dublin was laid on our hearts. We think Dublin is a fantastic city – both its beauty and bustling-nature attract us. It feels like a great city to raise our two young children, Jacob and Annabelle. Additionally Steve is half-Irish and has over 400 years of family history in Dublin itself – linking into the Jameson family. However, Dublin captured our hearts on a deeper level. With all the economic, political and religious turmoil that has occurred over the last few decades in Dublin it feels like people are asking questions – questions about where to find hope, identity, meaning and security. There seems to be a need for communities that will embody and speak the message of God’s grace, hope and forgiveness that is found in Christ. The journey has only just begun and we are full of both excitement and trepidation as we move forward, but we are trusting in God every step along the way. **2015 update – please we have three updates to our journey which you can read and also a new website – http://www.christcitychurch.ie. I don’t make it a habit to make comments on a lot of articles, but this one deserves attention. I agree with the information you have written so beautifully here.